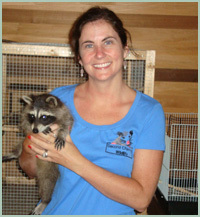 Brigette Williams is a Certified Wildlife Rehabilitator with the Department of Fish and Wildlife and the founder of Second Chances Wildlife Rehabilitation and Education Center in Goshen, Kentucky. 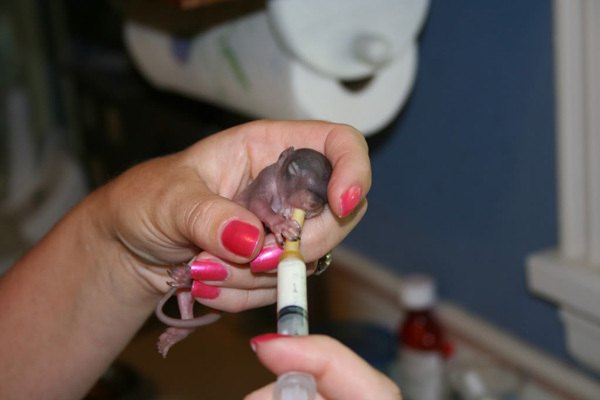 Whether the animal is orphaned, injured, or displaced, Second Chances gives that animal a "second chance" at life by providing love, food, shelter, and medical care. The only other alternative is for people to take their found orphaned babies to the humane society to be euthanized. "I take in as many animals as I can," says Brigette, "and provide care and feeding until they are released into a safe area with food and water sources. 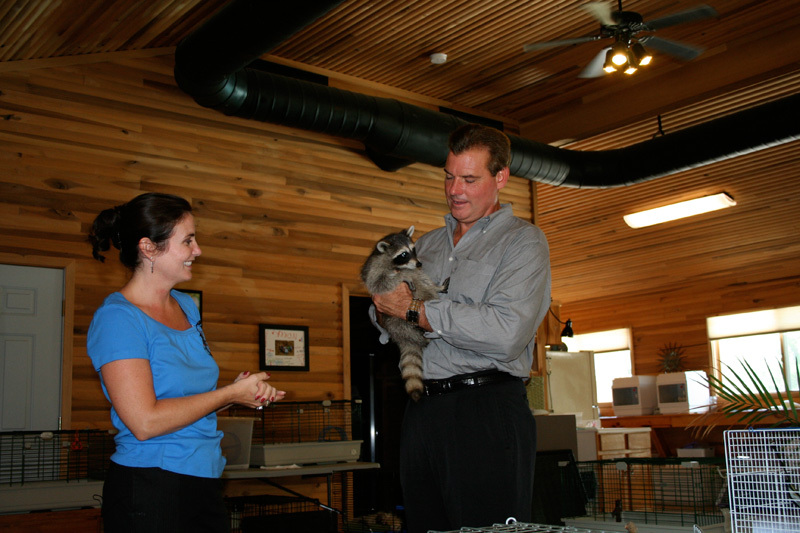 Any animals that will not adjust to living in the wild will be used for educational programs in local public and private schools." 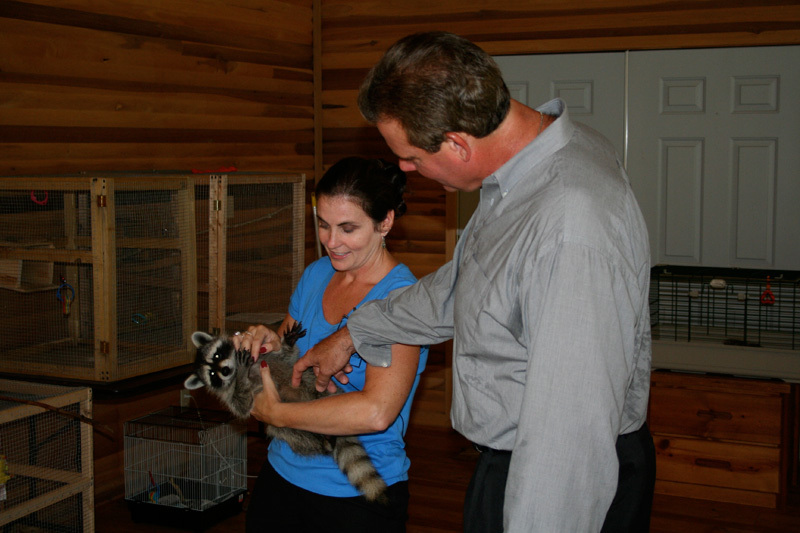 Second Chances also educates school and scout groups on local animals and humane co-existence with local wildlife. 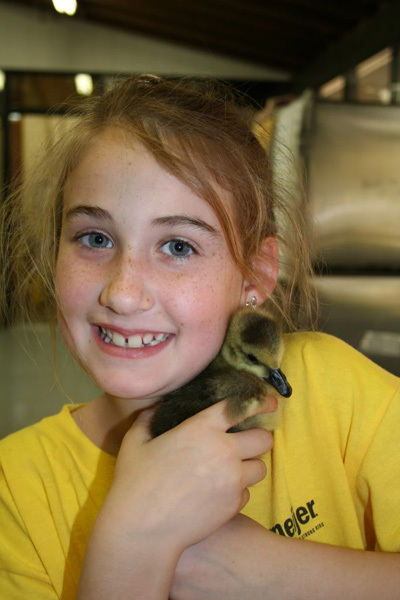 Brigette would like to take in more animals and develop educational resources for visiting schools. 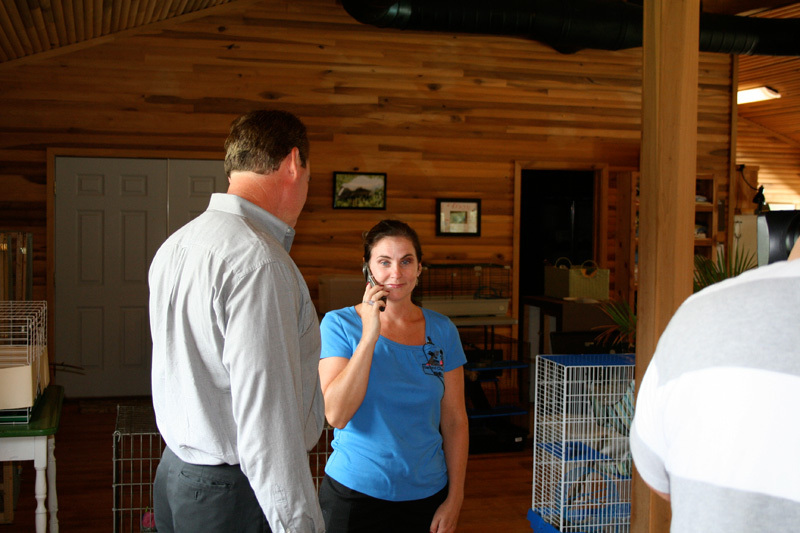 She has requested $12,000 to purchase cages, crates, food, medical supplies and vaccines for the animals, as well as educational supplies for classes and camps. Brigette is also a full time kindergarten teacher and says, "My class loves when I have to bring babies to school to feed. We have even released some squirrels together so they had the opportunity to see the whole cycle. My entire school has a different outlook towards wildlife now! 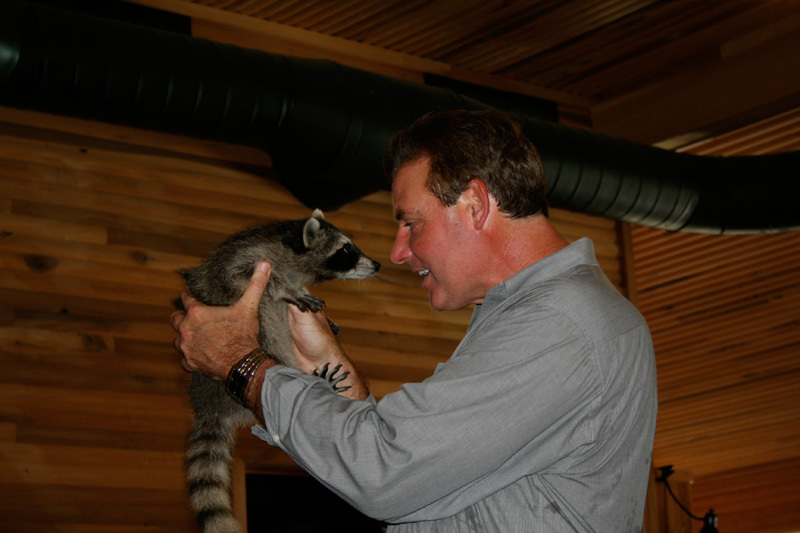 In fact, they worried when I brought a skunk in and ended up falling in love with him! 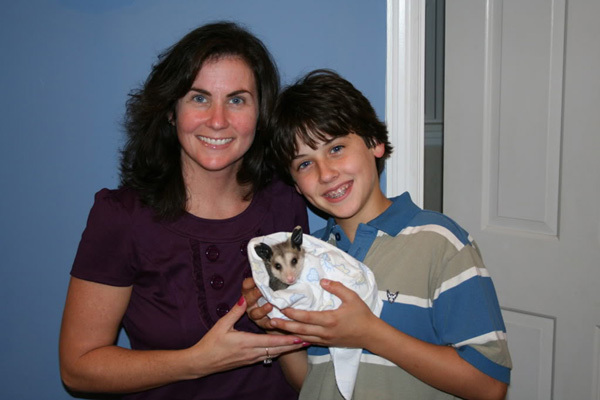 The students now choose opossums for their reports and favorite animals." 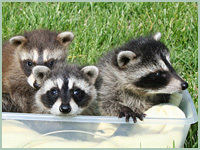 During ‘baby season’ (February-November) she has been known to carry baby animals with her to feed them on the hour. 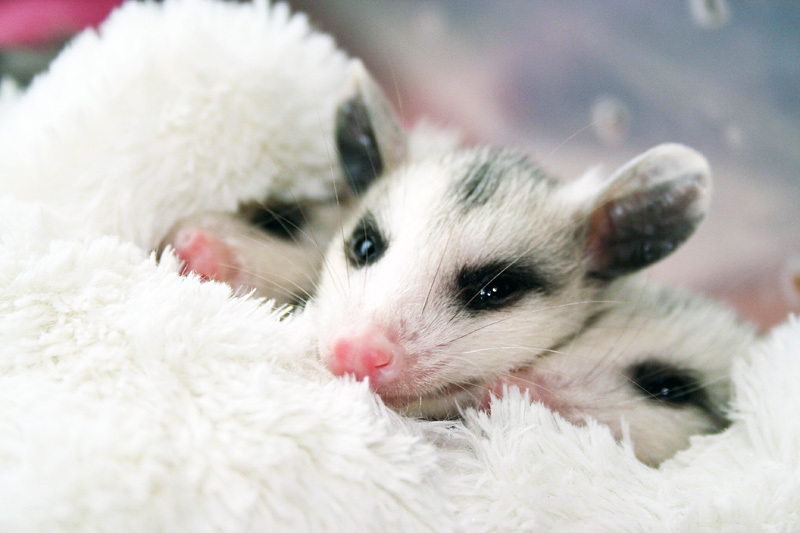 Second Chances specializes in opossum babies but also accepts several other species. 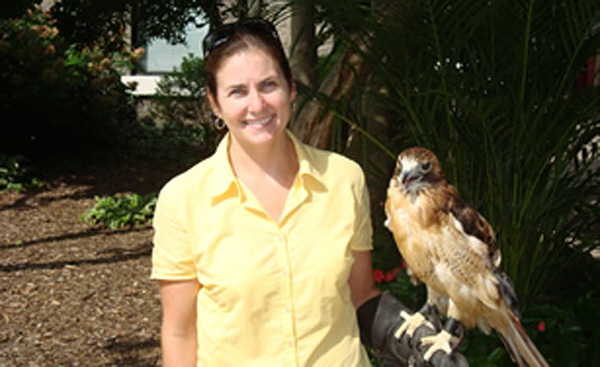 Brigette serves as a volunteer educator at The Louisville Zoo where she also helps take care of the birds of prey. "Spring is here! ...and all the babies that go along with it! I hope this e-mail finds you enjoying May as much as we are. We have had almost 50 babies already, some of which have even been released. We have been very busy feeding and cleaning and even providing a little bit of love. ;) I get asked about this often, but sometimes it's hard when you care for an wounded and needy infant and one day have to stop talking to it and loving on it only to make it not want to be around you. 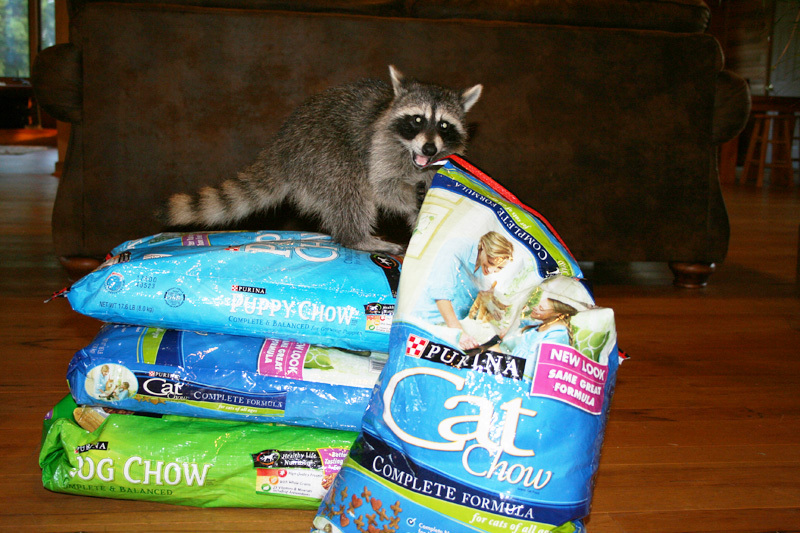 Of course, we understand that is best for our animals. 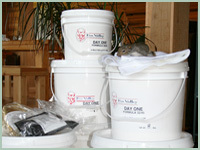 We have had bunnies, various types of squirrels, opossums, raccoons, field mice, ducklings, bunnies, and a red fox. The fox lucked out with a name... His name is Kippy. Kippy loves to play with toys or things that look like toys to him. ha! - Brigette"
"Check out all the formula that we purchased! Can you believe that we'll actually go through all of it? See the squirrel baby on top? He was so wiggly that I had my son bracing behind the scenes ready to catch him. ha! - Brigette"
"Though ya'll might like these photos. 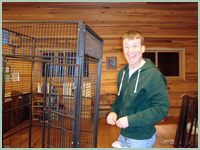 One is of Bruce putting together the "big kahuna" cage, one is of a tailless opossum snuggling, and the other is of 2 opossums checkin' each other out through what the zoo and i call the "howdy door". They can see and smell each other, but can't get to each other. The 2 big cages are back up against each other. 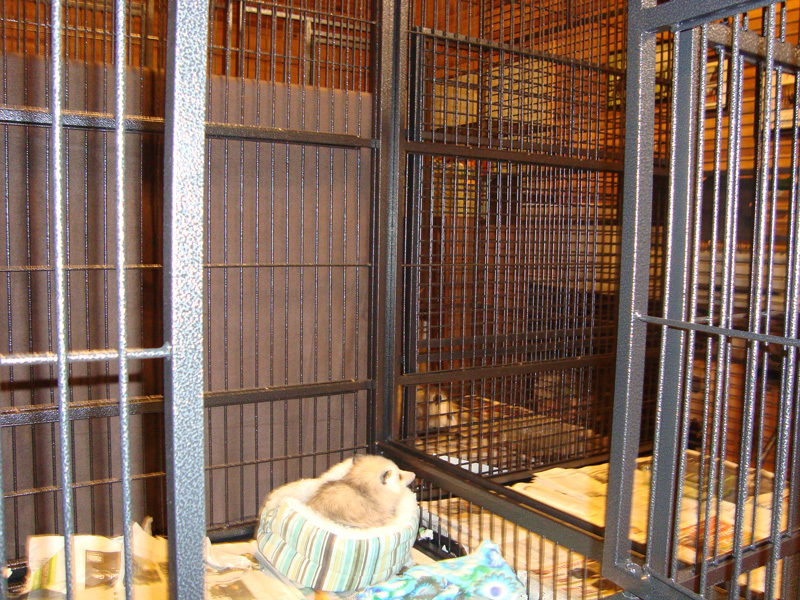 I LOVE these cages! Thanks, Jenny! 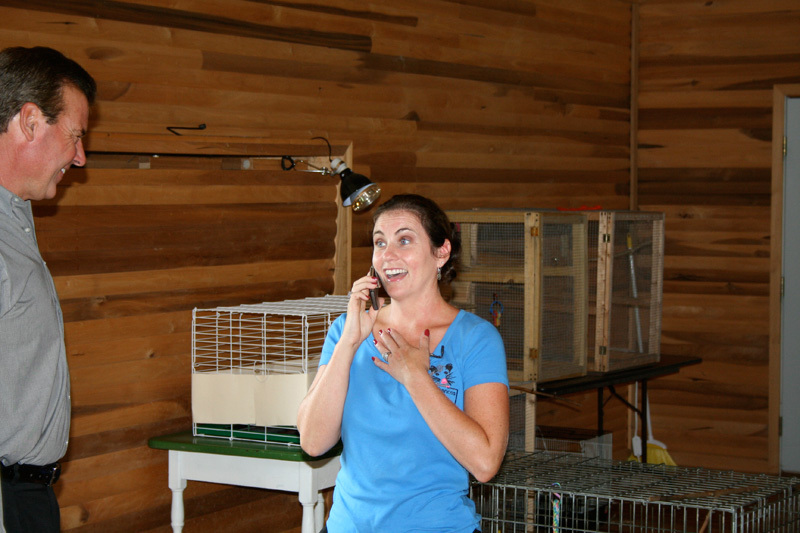 - Brigette"
"A few weeks ago, I released an opossum that had come to me at only 18 grams. This one was a bit special so I released him on our property. I opened his cage door and let him choose when he was ready to go. 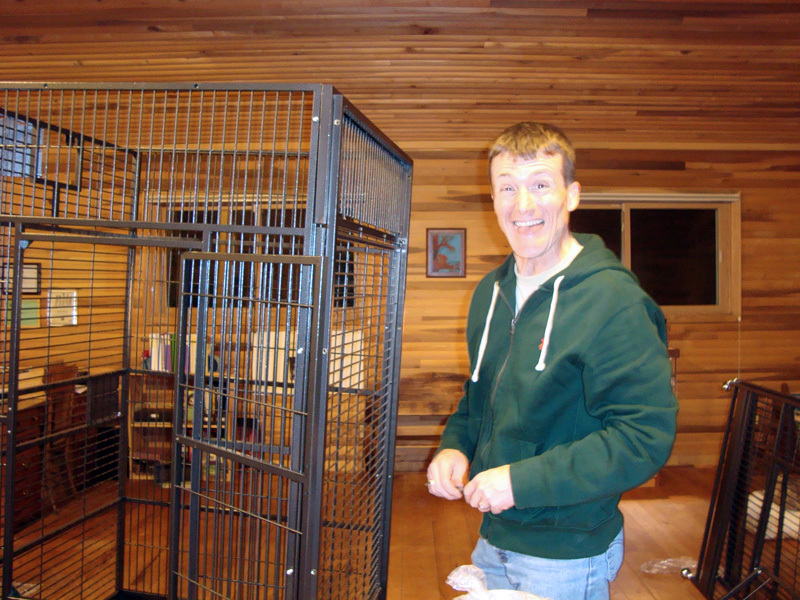 Well, he simply moved from one cage to another, perhaps an upgrade for him? He did bring in his own nesting materials, however. One night he stopped sleeping in there so I selfishly and sadly thought, "Well, he's ready, I guess." Low and behold, he returns every single night by the barn door waiting for his food. If I open the door before the food is out there, he walks right in like he owns the place. Animals are so amazing. He has his freedom but is taken care of as well. Kind of like going to college! Thanks so much! Brigette"
"Hi Jenny. I still am in shock about being the fortunate grant recipient and still pretty overwhelmed emotionally. Jenny, thank you so, so much. I know that you have made a difference in many people's lives and their causes and I am so thrilled to have become one of those people. 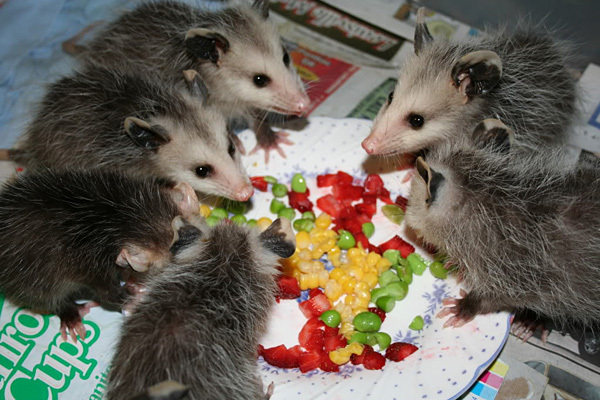 Someone brought me 7 mouse sized opossums today that were found clinging to their dead mama. They are VERY cute! 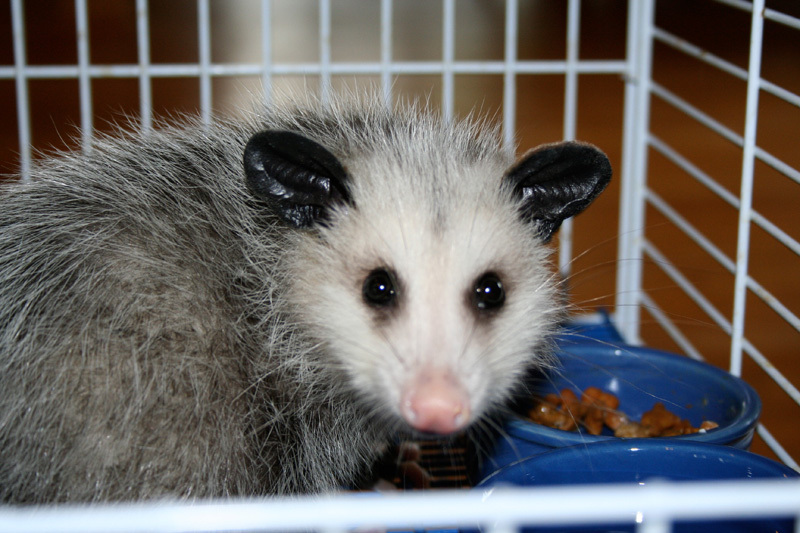 All opossums receive amoxicillin upon entry and they love it. it's like candy to them! Thanks again and I'm sure we'll be in touch! And you know I'm serious about visiting... any time you are a ready for a little road trip, just let me know. You have an open invitation." I was laughing as I listened to this phone call go from bad to worse and Damon finally put Bruce on hold so we could figure out what to do. 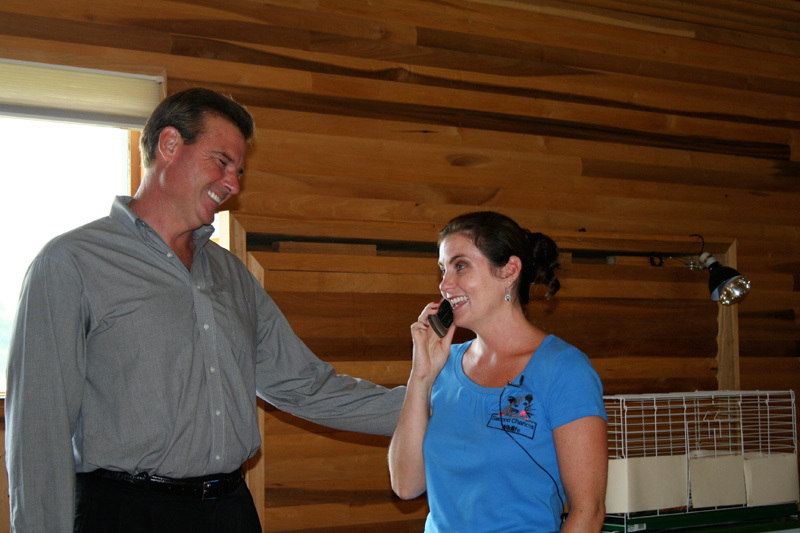 We couldn’t tell him about the surprise with Brigette standing there, and we couldn’t even ask him to call us back. Then while he was on hold, I realized we have a Los Angeles radio station playing during the hold. “Damon! Get him off hold!” I said, “He might hear that’s it’s L.A.!” By now we were both laughing, with no idea what to do next. So Damon came back on the line, and in his best official voice said, “ I think we have all we need, thank you,” and hung up. Now what? Do we call him back? 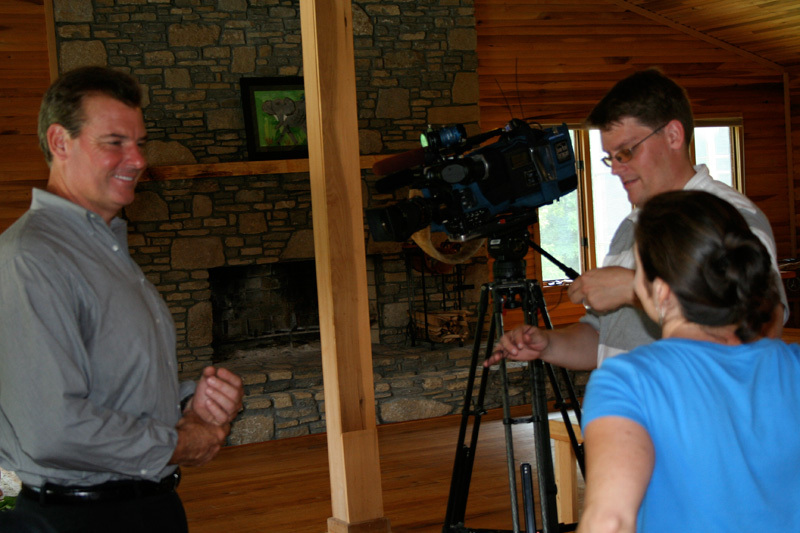 Will he wonder how WLKY got his cell phone number? 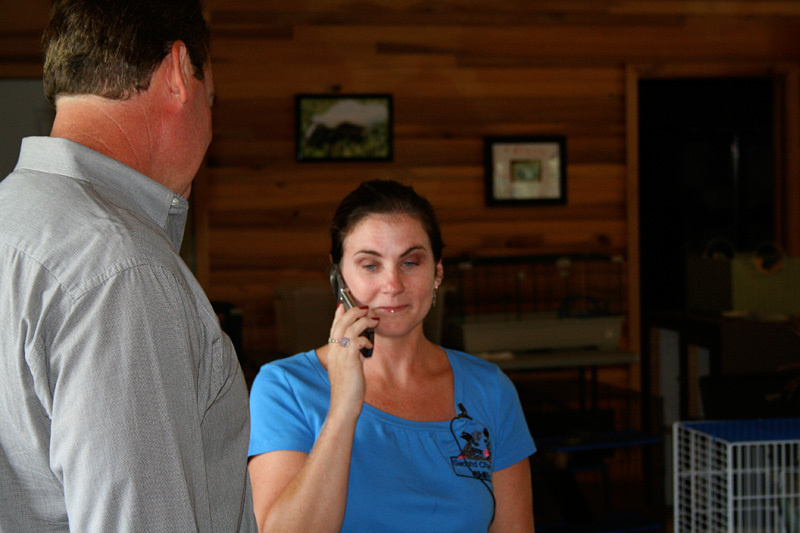 Damon decided to call one of Brigette’s volunteers, who would have her husband call Bruce (they are friends) not to raise suspicions, and he would ask Bruce to call us right away, but we never heard from him. 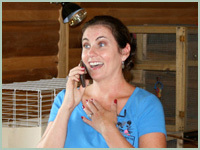 Finally, this morning, Bruce called and said he knew about the surprise but Brigette had no idea. As nervous as we were, things went really well. 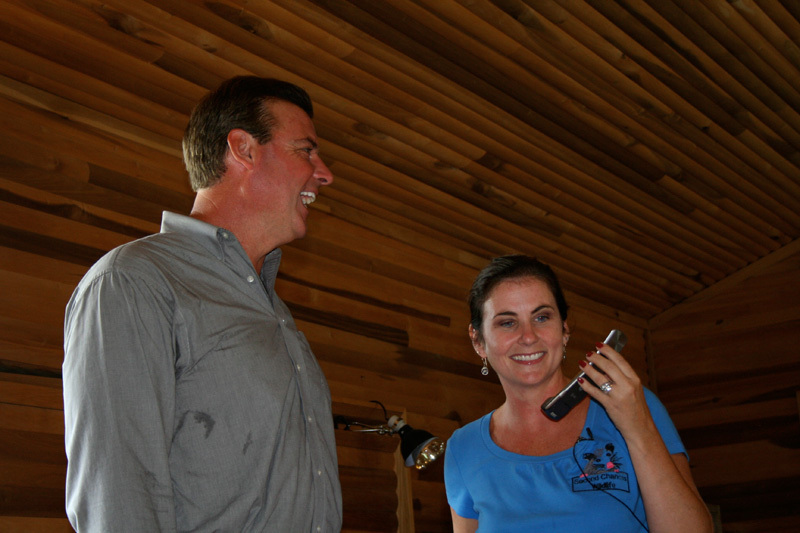 Rick put me on his cell phone speaker and I gave Brigette the good news live on camera. She was emotional because this project means so much to her. 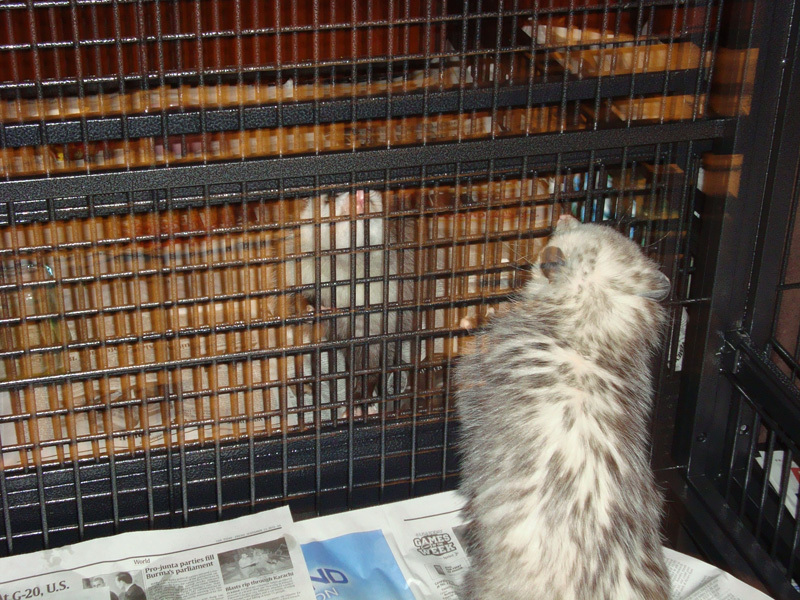 The first thing she plans to buy is a tall ferret cage for an opossum and then maybe some lumber from Lowes. Brigette’s husband Bruce is an Army Major stationed at Fort Knox who instructs officers who are being mobilized to go to Afghanistan. Her parents and husband were there as well as their 13-year-old son, Kyle. Their nine-year-old daughter, Molly wants to follow in her mom’s footsteps and work with animals. Brigette says Molly will pick up a tarantula without hesitation! It sounds like Second Chances is in very good hands. 07/28/10: Jenny wrote... "Brigette, I’m so happy to support what you are doing. 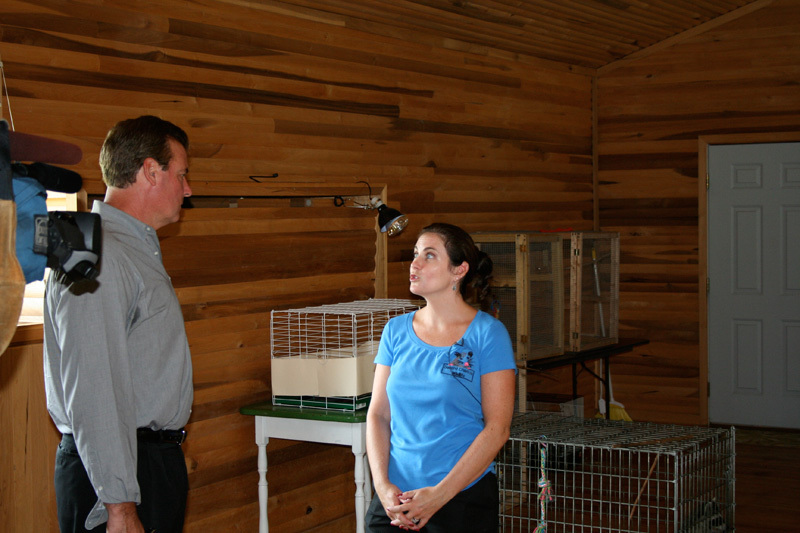 It’s a vital service you are providing and even more important is the wildlife education that you bring to the community." 07/28/10: Damon wrote... "Congratulations, Brigette! All those little critters are very lucky to have you looking out for them. Keep up the good work." 08/01/10: Mary Jane from Canada wrote... "Brigette, your community must be so proud to have you. 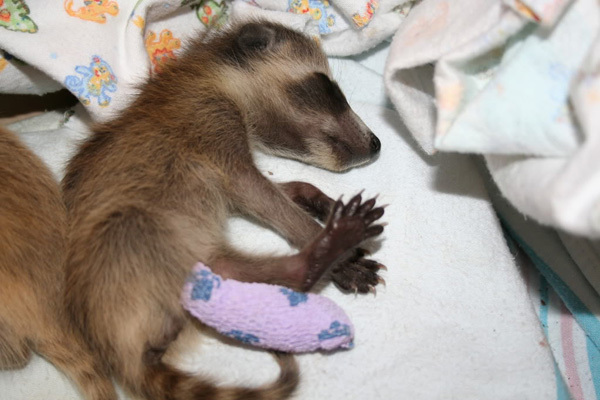 I don't think anyone can honestly say they have never seen an animal in need of help and not known what to do. Your work is beneficial in so many ways. There must be no end to goods you need to improve your quest. Congratulations on being able to get some help from Jenny." 08/06/10: Cindy Simpson wrote... "Brigette! I am so happy for you! 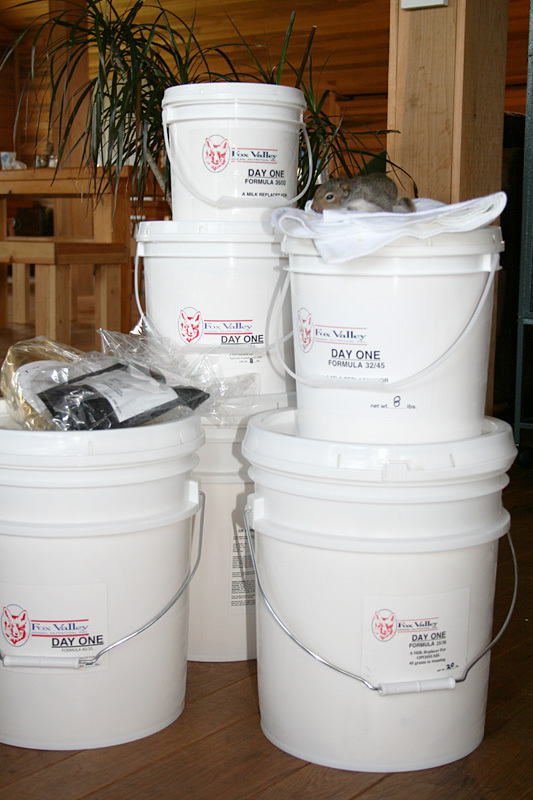 I know this will make a big difference in what you can do for the animals you care for. And what a wonderful example of compassion you are modeling for Kyle, Molly and your SFS students! Congratulations!" 08/09/10: Amy Stiber, St. Francis Preschool wrote... "Dear Brigette, All of us here at St. Francis Preschool were thrilled to hear that you were selected as Jenny's Hero! You are our hero, too! Truly you embody the values of our school - compassion, creativity, leadership and joy. 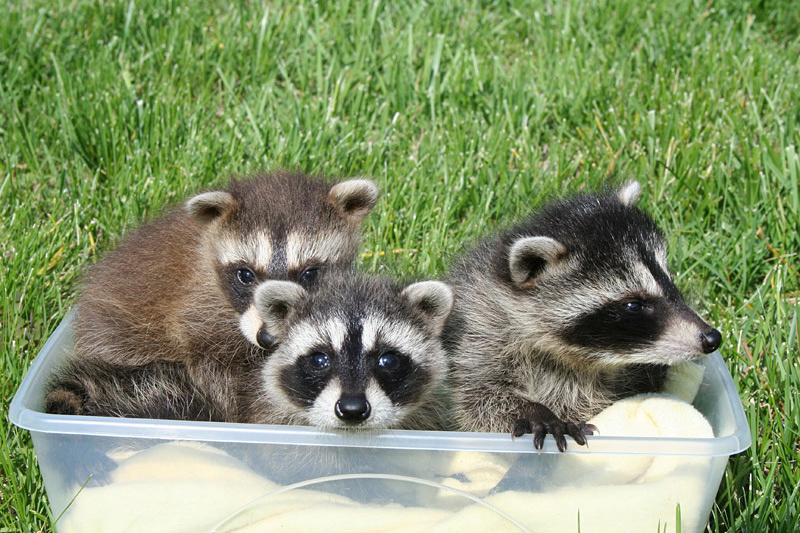 Your compassion for these forgotten little beings is so genuine and heart-felt; you find creative ways to care for them, release them and educate the rest of us; through your leadership, you have inspired us to be more loving and giving; a soulful joy in loving what you do radiates from your eyes. Thank you for taking the time to share with our young children at Camp Eaglet! We all wish you the best of everything. Congratulations!" 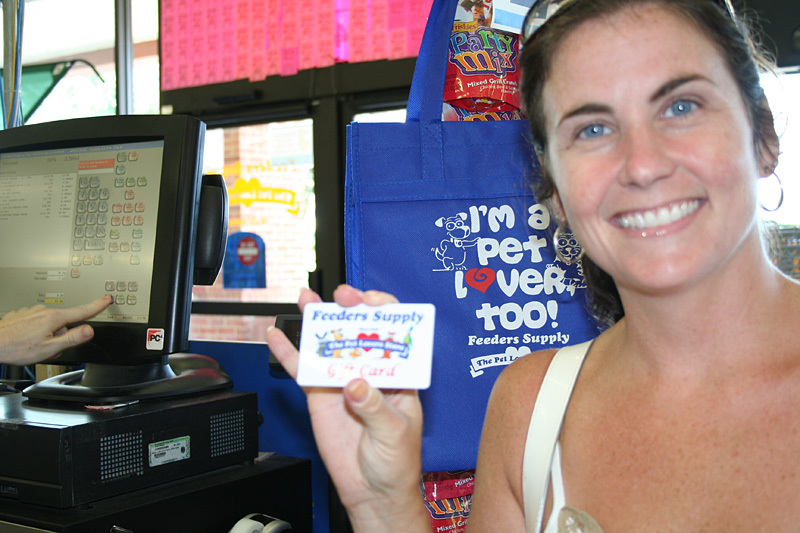 08/11/10: Rhonda wrote... "Brigette, you are awesome because you do this on your own, so I can see why Jenny chose you. Something about this just touches me so much. 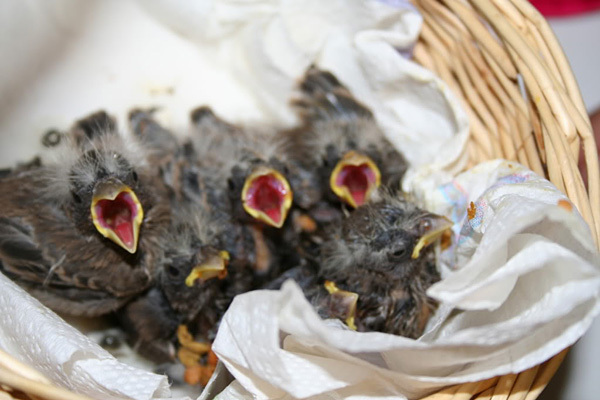 I guess being such an animal lover they need help like we humans do in life."